Once you’ve chosen the best tarot cards and decks for you and are beginning the learning process of how to read tarot, you may want to cleanse and clear your tarot cards. Other terms for cleansing and clearing a tarot deck are “preparing”, “consecrating”, or “blessing”. Some tarot readers believe you can have more accurate tarot reading experiences if you clear and cleanse your tarot deck before “flipping” (slang for tarot reading). Some readers would never consider cleansing or clearing their decks as they believe Spirit, the goddess, god, Source, etc. see to it that the cards are always in divine order. For those who wish to learn how to cleanse tarot cards, below you’ll find a variety of options to try. What is a clearing and cleansing for tarot cards? As you learn more about how to read tarot cards, you will, as a natural result, learn about how inanimate objects as well as people “absorb energy”. Whether purchased or gifted, your tarot cards passed through many energy fields before they passed into your’s and the deck will have absorbed at least some of that foreign energy along the way. An energy clearing or cleanse of a tarot deck rids the cards of outside energy thus making the cards “neutral”. Now, just as one’s fingerprint is completely unique, so is one’s energy or frequency. No matter if your tarot deck retained positive and/or negative energy, it is now the divination tool you and Spirit (the Divine, the God/Goddess, Source, the Universe, etc.) will work together with so starting off with a “clean” or “neutral” tarot deck gives your cards the chance to become calibrated to your vibration or frequency. Additionally, an energetic clearing of your cards can result in more accurate tarot readings. It is the difference between trying to see through a dirty window as opposed to one which is perfectly clean. 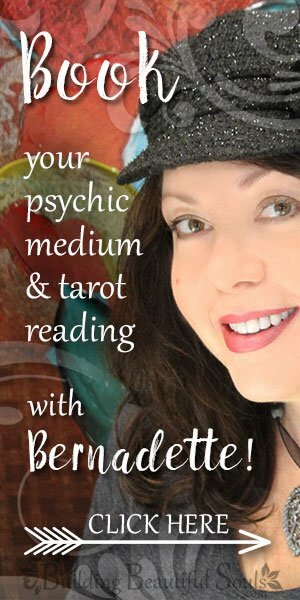 This clarity and accuracy can give you a major jump start in learning how to read tarot cards. It is important to note here that there are tarot readers who do not feel any preparatory action is necessary at all. Performing an energy clearing as soon as the tarot cards are received (whether purchased or as a gift) can be a wise move. Also, many tarot readers like to clean and cleanse their cards between readings, especially those who have the client shuffle the deck and after a particularly heavy reading. Other readers use the moon phases (particularly a full moon) to cleanse and energetically charge their cards. Finally, some readers only cleanse their tarot decks when the cards ‘tell’ them they need or want it. There are, perhaps, as many ideas about how to clear and cleanse a tarot cards deck as there are tarot cards. Using the 5 elements to cleanse and clear your tarot decks can be really effective – especially given that different elements can not only use its individual energy to clear specific emotions and energies from the cards but also infuse them with those same energies. It’s kind of like a metaphysical two-for-one. 🙂 You can use the elements individually or use them all together. Fire – You could pass your tarot cards deck through the flame of a *candle (fire). The element of fire is a powerful energetic and metaphysical ‘cleansing’ so be careful both physically and emotionally when using fire to clean your tarot cards. Water – Very lightly sprinkle your tarot cards deck with water. Water is the element of life and purification. Fresh or even bottled spring water works best. Click to read all about the element of water symbolism and meanings. Earth – Bury your tarot cards deck for twenty-four hours in sand, salt, or a combination of dried herbs. The Earth element brings grounding and stability to your tarot cards. This is especially helpful if you’ve had a wave of clients who’ve been experiencing deep trauma. Click to read all about the earth element symbolism and meanings. Air – There are a number of ways to use the Air element to cleanse your tarot cards. You can pass the deck through smoke given off by *burning incense, sage, or mugwort. Some tarot readers leave their cards near an open window as often as they can. Click to read about the air element symbolism and meanings. Spirit (Aether or Ether)- Praying over your cards or channeling Spirit directly into them (such as with Reiki or Theta Healing) can not only cleanse your tarot cards but give them a divine energetic boost by infusing theme with pure white light. In essence, you’re cleansing and blessing your tarot cards all in one fell swoop. 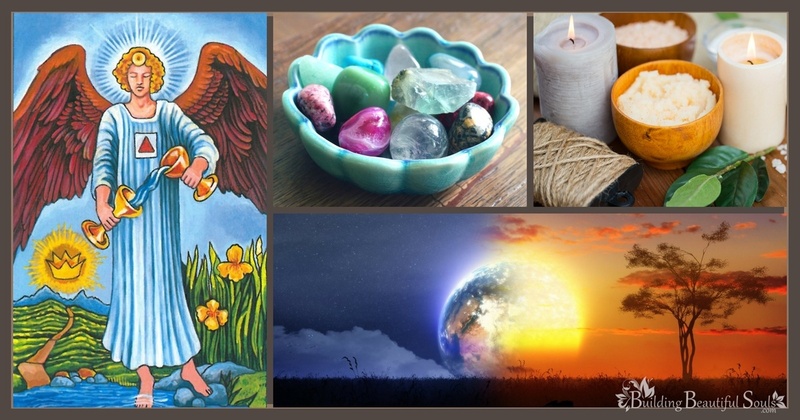 🙂 Click to read about the element of spirit symbolism and meanings. Exactly like using the 5 elements (above), you can use the moon phases to cleanse and clear your tarot cards as well as infuse them with the energy of each moon cycle. Waning Moon – The symbolism of this moon phase is all about surrender, letting go, and ‘hibernation’. Let’s say that a client is having a tough time letting go of a toxic relationship. After his or her reading you may wish to cleanse your cards in the light of a waning moon to help release the energy of his/her trauma. Alternatively, let’s say that a client wants to know the best way to move forward after a bad breakup. You might infuse the tarot cards with waning moon energy so the client’s reading specifically focuses on messages of how to take time to heal and allow in hope for the future. New Moon – The symbolism of this moon is all about rebirth & renewal. Let’s say a client wants to become pregnant or begin a new business venture. The new moon brings incredible charged energies of new beginnings so the messages regarding these subjects (and more) should come through loud and clear. Waxing Moon – The symbolism of this moon is all about growth – both sowing and reaping. Remember though, both sowing and reaping can bring about either positive or negative results. Full Moon – When you’ve got heavy duty tarot cleansing to do or want to imbue your decks with clarity, power, feminine divine energy, and goals achieved – the full moon is the moon for your tarot cards! Place the tarot cards near your preferred type of music for a few hours. Sleep with the tarot deck under your pillow to help calibrate them to your energy. There are a couple schools of thought on this one. Some tarot readers love this method because it helps them bond with their cards. Other’s say the energy is too strong – all the symbols and meanings of and on the cards is just ‘too much’. If you don’t clear your cards, just remember you’re bringing all that energy home and putting in your bed. Some believe that this is a wonderful way to tap into Universal energies – to begin to ‘see all’. Other’s would never, under any circumstances sleep with all that under their head (unless they cleansed the deck first). Place your favorite crystal, stone or gem on top of your tarot cards for a few days. Hold a prayer ceremony (consecration). Bless the tarot cards in a ritual (blessing and consecration). Place your tarot cards outside in the sun. Whichever method you choose (or make one up of your own), learning how to read tarot cards will be a much easier path to go down if that path is a clear one. Any or all of these tarot cleansing and clearing methods may work for you or you might not feel comfortable with any of them. In the comments below, let us know your preferred process! Be sure to exercise great care and caution if burning incense (sage, etc.) or using fire to clear your tarot cards deck. Remember if the cleansing method you choose is leaving the deck overnight in the moonlight, the moon is an extremely powerful feminine energy. So if you want your tarot cards to be balanced energetically, make sure to leave them in the sun for an equal amount of time since the sun is a male energy. If you have any questions, please connect with me! This entry was posted in Tarot Cards & Tarot Reading. Bookmark the permalink. How do I explain to my children the dangers in life without scarring them with all the evil possibilities that await for anyone.